Canvas is currently my most popular medium to print on. It is suprisingly vibrant with a noticable texture only when viewed up close. A coating is applied which adds UV protection as well as allowing the canvas prints to be safely handled and wiped with a damp cloth. 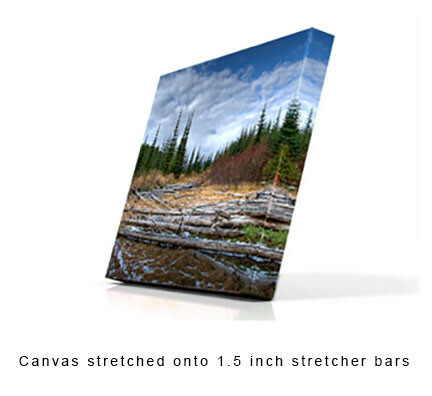 The canvas print can be sent rolled up or hand stretched onto 1.5 inch deep stretcher bars.